- Not all the Gulf nations were see it to be a positive impact on the employment despite expectations the overall job market will grow at an average rate of 9% in this year 2018. 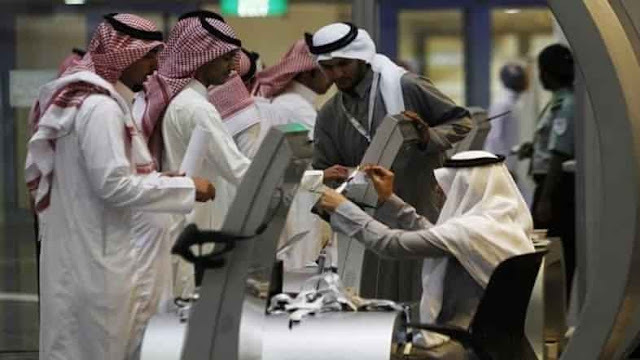 Saudi job market is shrinking this year, as most of the companies reporting a reduction in employees due to the government strict policies on Saudization or 'Saudis First' policy. - In the recent Saudization policy, Ministry of Labor banned 12 sectors for expatriate workers and opened the jobs only for Saudi citizens. Bank of America in its recent released report revealed that thousands of expats lose their jobs by this September 2018. - In order to recover the oil prices, Kuwait and Abu Dhbai are creating more jobs and the Expo 2020 is a hint that the opportunities in Dubai is also increasing. After a 3 years of downfall in employees in oil and gas sector, This year oil sector may witness drastic increase in job employments.